You usually don’t go to a mall to have a foodie experience. If you have eaten at one, more likely you worked up an appetite while shopping. 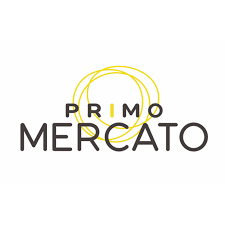 However, with the opening of the Mall at Short Hill’s newest addition, Primo Mercato, that may be about to change. Reminiscent of Mercato Centrale in Rome or Eately in New York City, Primo Mercato, is an upscale Italian food market with a chic modern twist. Like its sister restaurant in San Juan, Puerto Rico, Il Nuovo Mercato, there is an open kitchen where you can watch artisans create gastronomic works of art before your eyes (or at a minimum, prepare wonderfully tasting meals). The menus offers authentic Italian cuisines with a full service bar. Unlike most restaurants, however, you can take home more than just your leftovers since a variety of gourmet Italian prepared foods and groceries are also available for purchase. Open daily until 11:00pm, Primo Mercato’s dining area is tastefully decorated to create a Mediterranean ambience. At 17,000 square feet and 80 seats, it’s also large. Next time you’re shopping at the Mall at Short Hills and the mood strikes you for an Aperol Spritzor and a slice of authentic Napolatano pizza, or if you just want a new culinary experience, visit Primo Mercato. We are so excited to welcome Primo Mercato to Short Hills!